Wait – is it Friday November 23 already?! Don't panic – you haven't blinked and missed a whole week of your life! Black Friday isn't here quite yet, but you'd be forgiven for thinking that November 23 had already arrived given the sheer scale of the discount available from Mobiles.co.uk today. The online retailer has slashed the upfront cost of the Samsung Galaxy S9 deal on Vodafone that bagged the prestigious "Deal of the Year" gong at the Mobile Choice Consumer Awards 2018 last month. 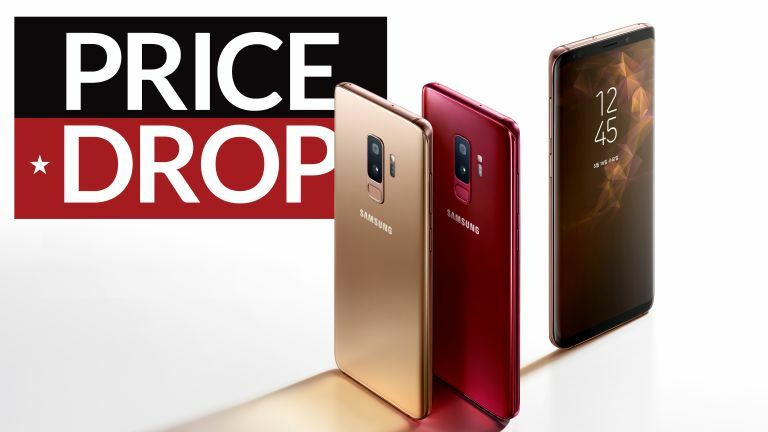 The upfront price, which has consistently hovered just above the £100-mark since the deal launched, has now dropped to £90 – the lowest ever price so far. The £23 a month contract includes unlimited texts and minutes, as well as 4GB of 4G mobile data. Since the 24-month contract runs on the Vodafone network customers will benefit from Vodafone Global roaming, which allows phone owners to take your allowance of minutes, text messages and mobile data in 110 destinations worldwide, including Spain, France, United States, Canada, Australia, and more. In total, the Galaxy S9 deal on Vodafone will cost £642 over the two years. For comparison, the flagship Galaxy S9 was priced at £739 SIM-free when it went on sale on the official Samsung store following its launch on March 16, 2018 – a price it still holds at the time of writing. Given the sheer amount of savings on offer here, we're genuinely concerned about how Mobiles.co.uk could ever top this when Black Friday comes around next week. If you're a little concerned that 4GB of mobile data won't be enough to cater to your streaming needs, our exclusive deal with mobile network EE might be the solution. T3 readers can slash £20 off the upfront cost of the superb £28 a month deal, which runs on the fastest network available in the UK. It might cost an extra fiver a month, but for that, you'll get 9GB of mobile data, unlimited minutes and text messages. EE customers should use the discount code TECH20 to drop the one-off upfront fee from £70 to £50. Samsung Galaxy S9 is available in all four colour finishes – Coral Blue, Lilac Purple, Titanium Grey, and Midnight Black – from either networks.